Always in-demand, secretly hoped for, and a universal equalizer, bars at any event can take your party from a 7 to a 10. 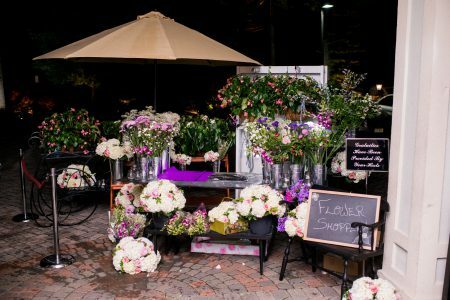 If you’re looking to go beyond the traditional drink bar, here are some unique bar ideas that Crystal Plaza has put together for any and all crowds. An unexpected way to serve food at your reception, food bars become a gathering point for all guests to meet and interact. 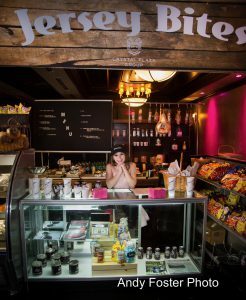 A snack bar allows for a quick bite in between dance moves to keep guests energized throughout the night. A creative way to serve desert. 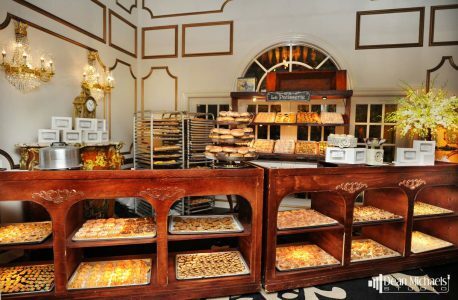 Guests can take their own desired servings, and make to-go bags for home, leaving no dessert uneaten and unwasted. 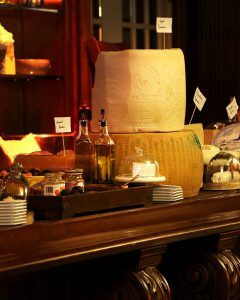 A cheese bar matches perfectly with cocktail hour and a signature drink for any pre-ceremony welcome. 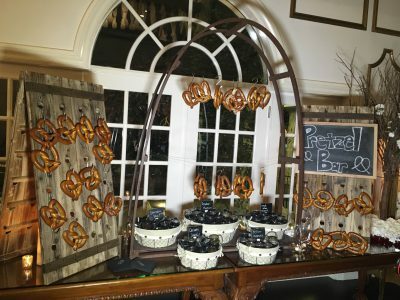 Pretzel bars allows for snacking to be taken to the dance floor. Pair pretzels with custom pre-packaged dipping sauces to mix and match food. Share a sweet tooth? 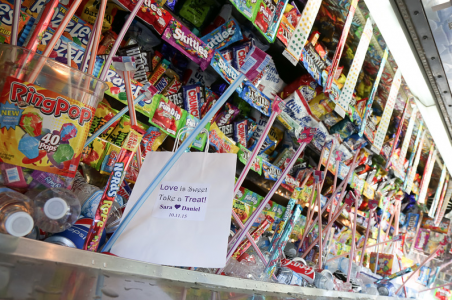 A candy bar in lieu of gift bags is a cheaper and more personal way to ensure your guests have a sweet memory of your wedding. A great wedding favor – flower bars keep receptions colorful and smelling fresh. Guests will love to create and share their own DIY bouquets. 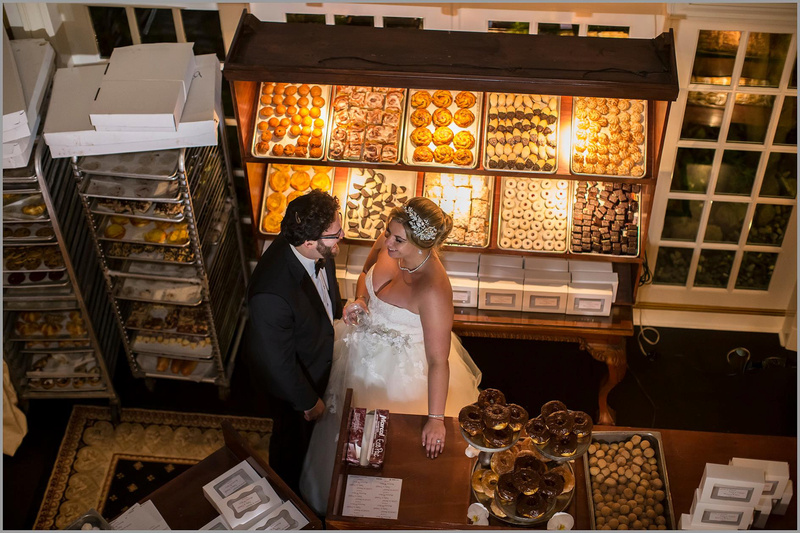 Unique bars are a way to personalize your wedding with shared interests between you and your spouse. If you want any of these bars, or have any ideas for your own bar, follow and let us know on Facebook, Instagram, and Twitter. Header photo courtesy of Valery Maxx.